One of Rossi’s most treasured customers, dating back many years, is the Bookseller, Fuchs and Reposo, Libreria e Cartoleria (books and stationery). It can be found in the lovely Swiss canton of Ticino, in the city of Lugano, surrounded by the mountains of the Prealps and Lake Lugano. 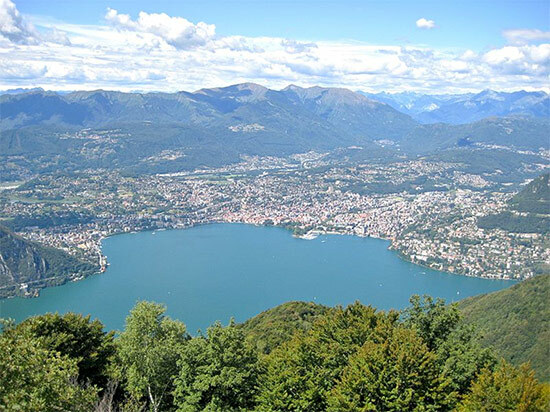 It is said Lugano gives you Switzerland with an Italian accent, as it borders Italy and has the largest Italian speaking majority outside of Italy. Recently we were privileged to an interview by Susanne Reposo, who is the grand-daughter of the original founder. In 1935, my Grandfather Ernst Fuchs, with courage and entrepreneurship, bought the Bookshop Wega, which he directed for many years. Ernst Fuchs, originally from Wengen (Oberalp in Bern) besides being a formidable bookseller was also an experienced Book Antiquarian and passionate bibliophile. 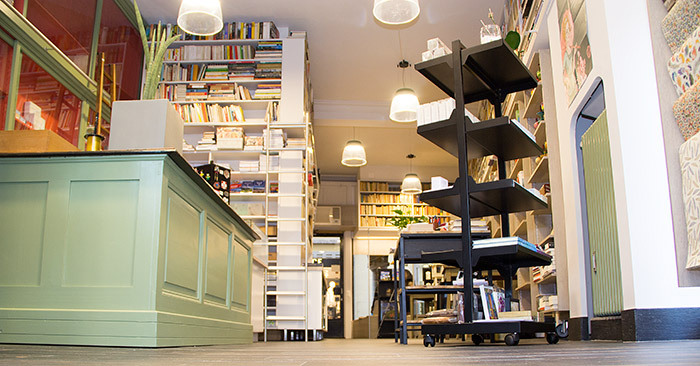 The shop, situated in the heart of one of the most important cities in Ticino, distinguished itself by its vast and carefully selected books, essays, manuals and precious old prints. My grandfather was a knowledgeable man with great intellect (cultural and wise speaking). Since German- written books were considered quite “native” in his shop, he soon began to have German artist as friends, who lived or just came across to Lugano. They were many and among them such as Hermann Hesse and Thomas Mann (both Nobel Prize winners), the piano player Wilheöm Backhaus (future honorary citizen of Lugano), the Chinese writer and translator Lin Yutang, the famous orchestra director, Bruno Walter and the great Hungarian chart Imre Reiner. 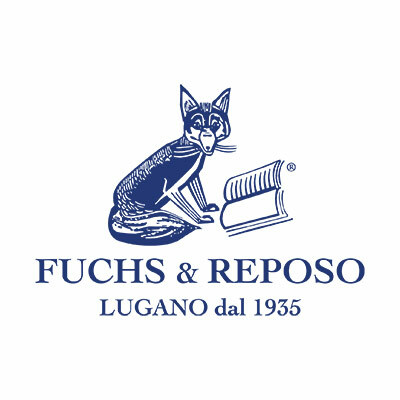 It was exactly Imre Reiner, international typographic artist with 11 published essays, who created the famous “fox” logo, hence, the name Fuchs ( German for fox), which today still embroiders the soul of the shop. In the fifties, the bookshelves, where meanwhile totaling more than 125,000 titles and my parents, Riccardo Reposo and Susanne Fuchs took the shop over. Thanks to their vision, the stationery part of the shop was added. My mother, only child of my grandfather, studied in St. Gallen and worked with dedication along with my father in the shop for almost 60 years. Nowadays the shop is completely modernized, expect for a few original elements from the 1930’s, and is still managed by the family, now the third generation. The big shop windows under the arcades in via Nassa, hold the books and news, while those on the lakeside show different pens from the best brands, elegant paperboard and original gift ideas. Inside, with a distinctive retro look, there can be found beautiful letter cards for every event, decorative and gift paper, diaries, blocks for notes and many other things. 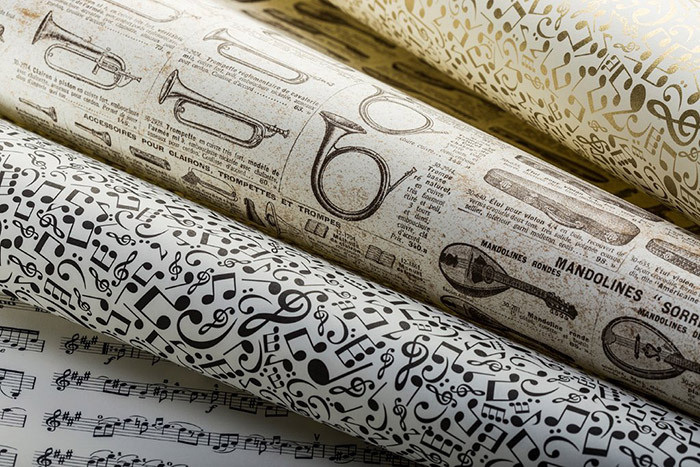 Almost the entire paper collection offered by the shop, is produced by Rossi 1931, a well-known company with their main office just outside of Florence. This Italian company, (also managed by the Rossi family), with whom we have worked together for many years is very well received by even foreign customers. We have nearly their complete collection exposed, which never stops to astonish. Our continuous research at international fairs, allows us to choose an offering in the shop of only exclusive items. Most of them are created by master artisans and are limited editions; hand painted ceramics, cutlery with handles in true horn, elegant Italian leather goods, globes, wooden trotters and many interesting items offers our customers great and original choices. The bookshop part of “Fuchs & Reposo”, unique in Lugano, is always well assorted with German, Italian, English, French and Russian titles. The whole offering is extended by geographical maps and tourist guides. And last but not least, the important and accurate research of antiques books, with almost unfindable and rare pieces of literature, together with antique prints of Ticino and Switzerland, complete this one of a kind experience. We thank Susanne for her time and for sharing her pride and passion in the history and ownership of Fuchs&Reposo.